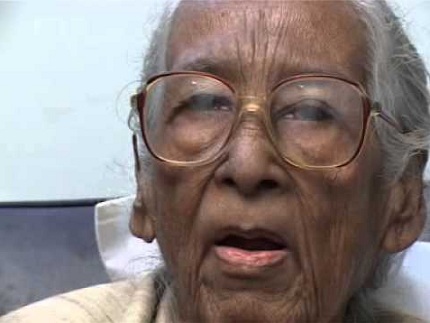 Dr Zohra Begum Kazi, amongst the pioneering women to have got a degree in medicines, passed away in Dhaka. She had got the degree of MBBS from Lady Harding Medical College in 1935. She was the first woman Muslim doctor of the sub-continent, say newspaper reports. Begum Kazi had served as head of Gynaecology department of the Dhaka Medical College Hospital. At the time of her death she was 97. An activist, she had played an important role in the 1971 struggle. Her husband, Raziuddin, a lawmaker, had died in 1963. She was issue-less. She died on the night of November 8 at her Gulshan residence and was buried at Banani graveyard. Just when I came across the news, I recalled the letter published in Rashtriya Sahara Urdu daily about the huge money spent on advertisements by the warring factions of Qureshi biradari. The letter writer had expressed surprise over the manner the office-bearers were flaunting their money and numerical strength, and questioned whether they had opened any schools, colleges or given a thought to how many Qureshi girls are passing PET, MBBS and other exams.